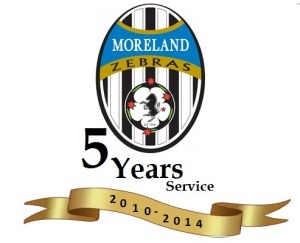 The Moreland Zebras junior base has grown from strength to strength celebrating its 5th year. 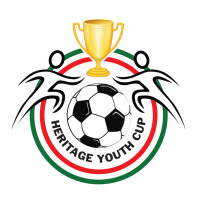 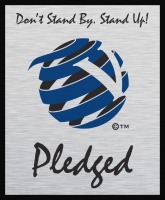 We look back to 2010 when the Zebras recommenced its junior program which saw us field 3 junior teams (U8,U12,U18's) compared to fielding all age groups in 2014 and multiple teams at mini roos level. 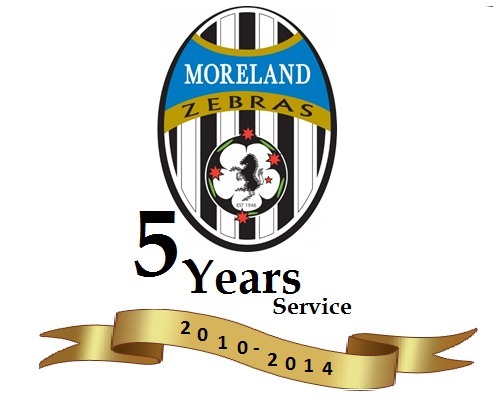 The Moreland Zebras would like to congratulate the following Junior Players for reaching 5 years of service to the club. A fantastic effort, which you should all be very proud of.